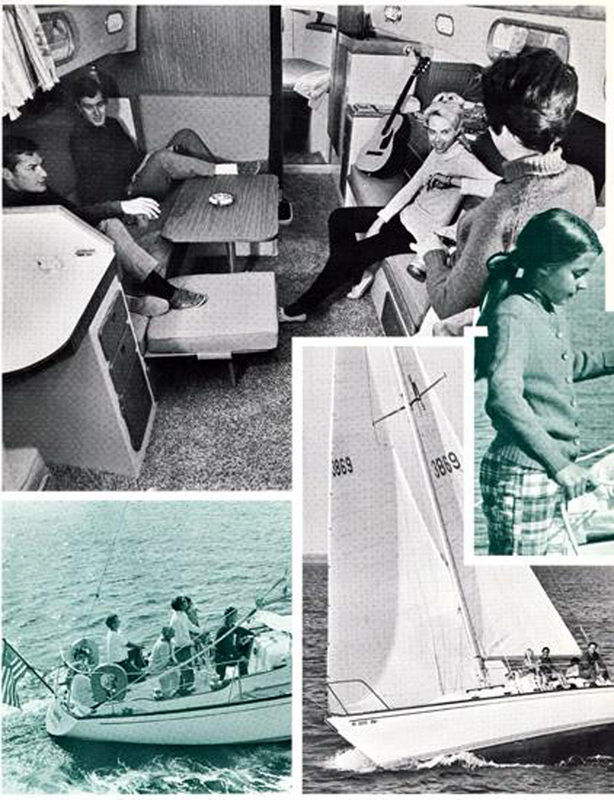 The Pearson 39 is indeed many things to many masters. She's quite a boat. Whether you find her anchored in a Caribbean lagoon or cruising of the Atlantic, Pacific or Gulf coasts, the Pearson 39 is a memorable sight. Always in harmony with her surroundings. Always graceful. From her stern rail to her bow pulpit, the 39 is one uninterrupted flow of beauty in action. 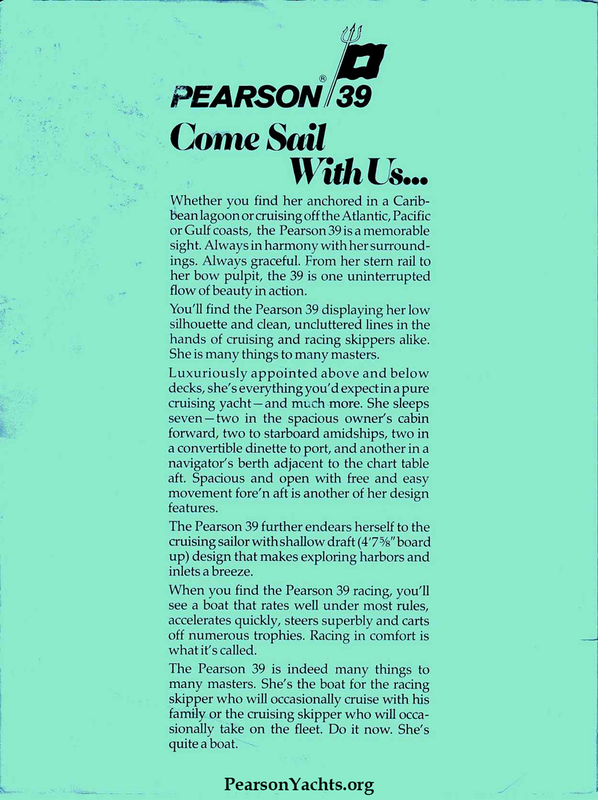 You'll find the Pearson 39 displaying her low silhouette and clean, uncluttered lines in the hands of cruising and racing skippers alike. She is many things to many masters. Luxuriously appointed above and below decks, she's everything you'd expect in a pure cruising yacht – and much more. 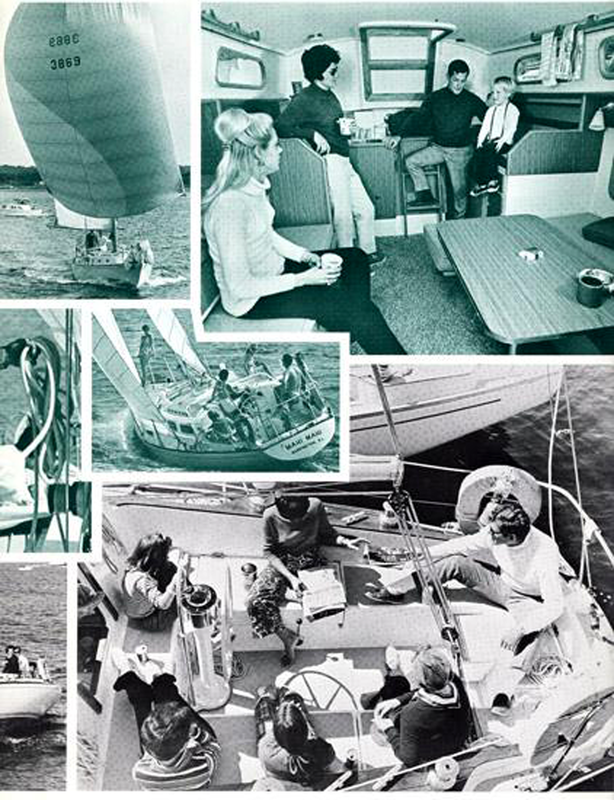 She sleeps seven – two in the spacious owner's cabin forward, two to starboard amidships, two in a convertible dinette to port, and another in a navigator's berth adjacent to the chart table aft. 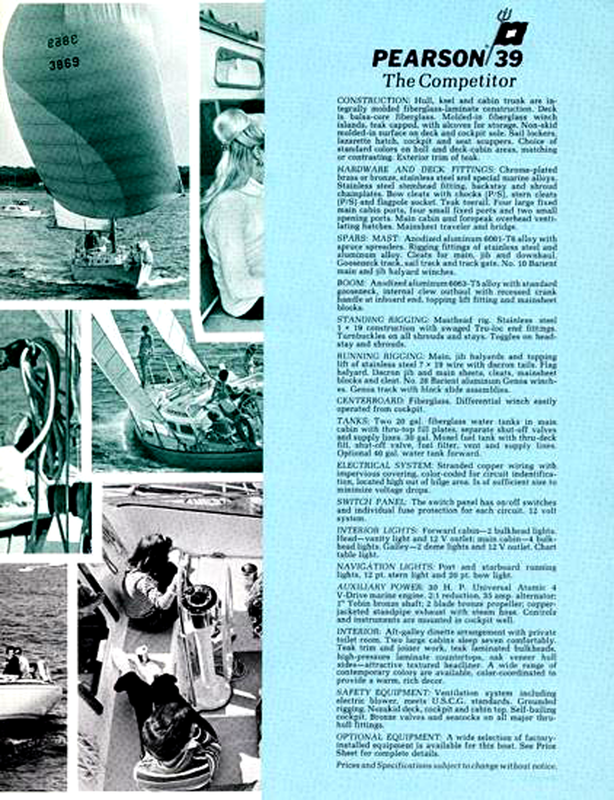 Spacious and open with free and easy movement fore'n aft is another of her design features. 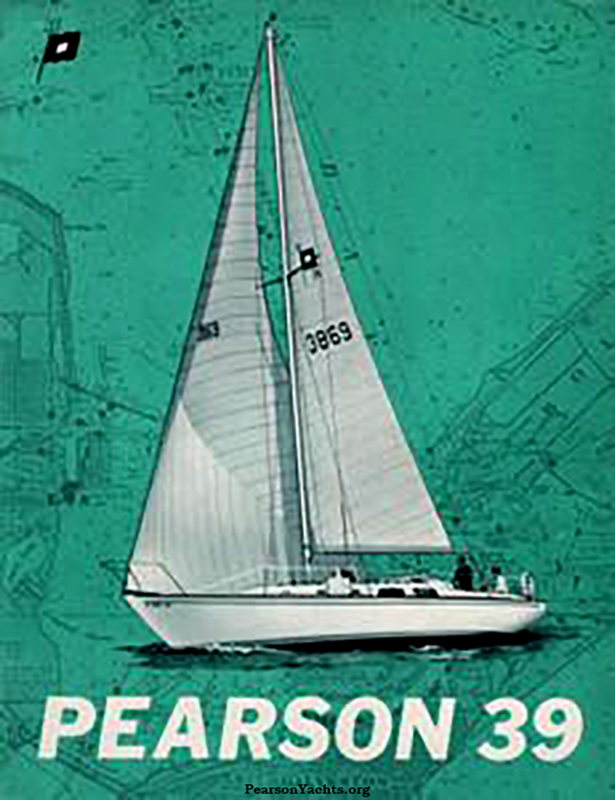 The Pearson 39 further endears herself to the cruising sailor with shallow draft (4' 7 5/8” board up) design that makes exploring harbors and inlets a breeze. 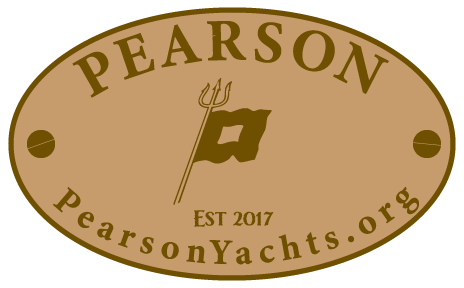 When you find the Pearson 39 racing, you'll see a boat that rates well under most rules, accelerates quickly, steers superbly and carts off numerous trophies. Racing in comfort is what it's called. 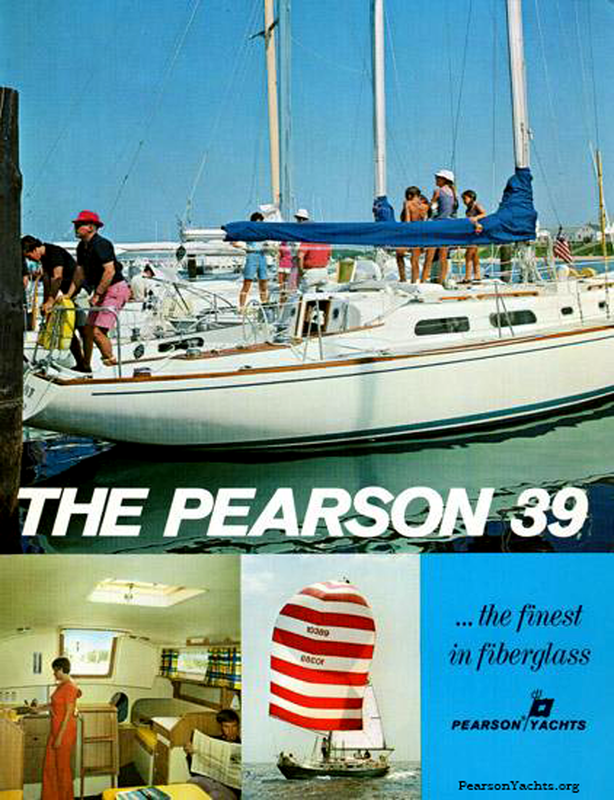 The Pearson 39 is indeed many things to many masters. 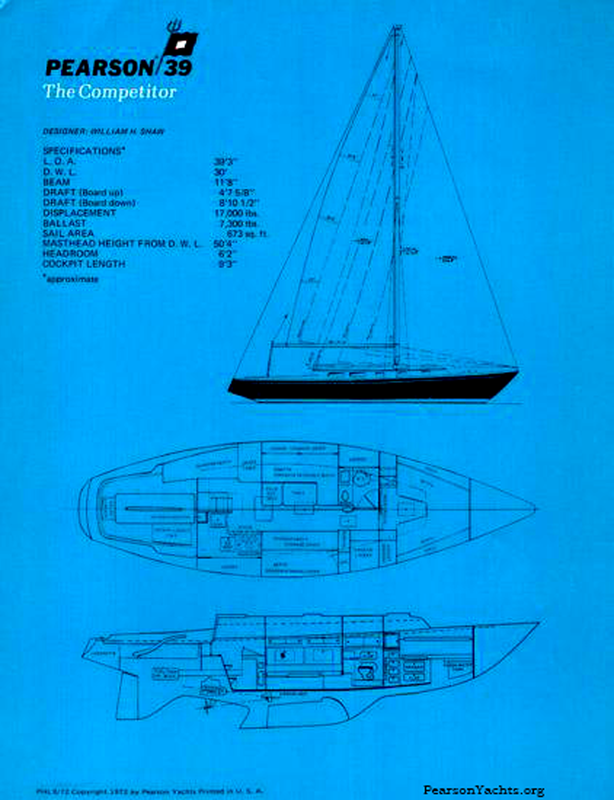 She's the boat for the racing skipper who will occasionally cruise with his family or the cruising skipper who will occasionally take on the fleet. Do it now. She's quite a boat.